A 20-year-old Prime Ministerial candidate, Neelaksh Mathur, is on the loose. In order to get into the shoes (read: chappals) of a Prime Minister, he now travels around the country to campaign for elections but ends up making people laugh. Since he has done that in 8 cities in the last three years, now he calls himself a comedian. “Shouldn’t Be Saying This” is Neelaksh’s attempt to spend more than 40 minutes on stage doing jokes. In order to achieve this feat, he will need supporters who could die for him. Until the time he finds such people, he will need you guys to come and act as his supporters. 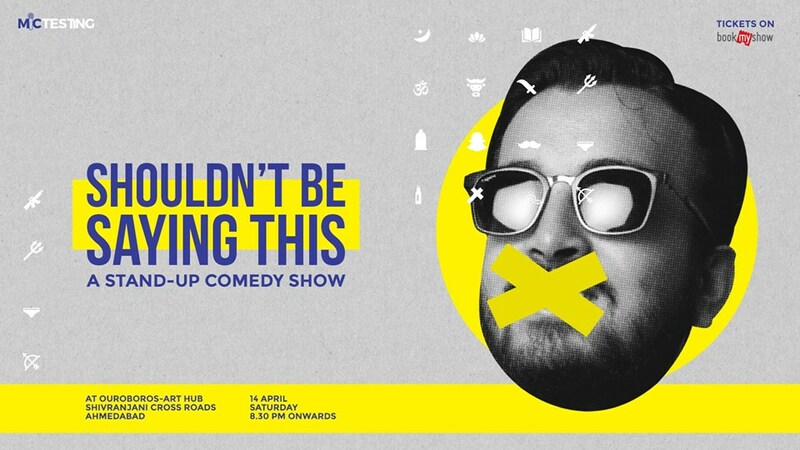 So come and watch Neelaksh Mathur do standup comedy about things that might or might not send him to jail.